When asked about answering written questions, sitting down for an interview with the special counsel team or some hybrid approach, the president didn’t rule it out. The president has said many times in the past tht he would be willing to speak with Mueller but would await his legal team’s guidance. The president’s comments come after speculation surfaced last month whether he would fire Deputy Attorney General Rod Rosenstein. “Well I actually get along well with Rod,” Trump said. Trump said he’s “surprised” the deputy attorney general will not appear on Capitol Hill to testify under oath after he was asked by some members of Congress to do so. 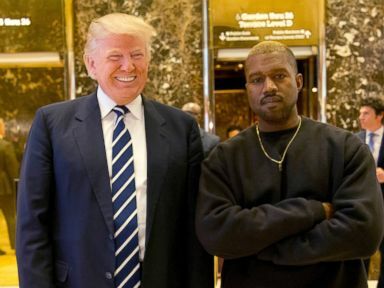 During the interview and in preparation for his lunch with hip-hop artist Kanye West, Trump touted the support he says he has received from the African American community since West has publicly backed his “Make America Great Again” campaign slogan. The president also briefly touched on the recent political fallout over his newly appointed Supreme Court Justice Brett Kavanaugh – echoing his support of Kavanaugh’s confirmation and decried calls among some Democrats of impeachment. “How do you impeach him? He’s like this incredible person that it turned out to be such false, horrible charges what they did and they want to impeach him?” Trump said. In an interview with the Washington Examiner, a conservative newspaper, Trump said that while any other Republican president would have “abandoned” Kavanaugh as a Supreme Court nominee, he “didn’t even think about going the other way” during the Senate confirmation hearings. Trump told the Examiner that “the easier path” would have been to withdraw his nomination while allegations were unfolding, but never thought about doing so. 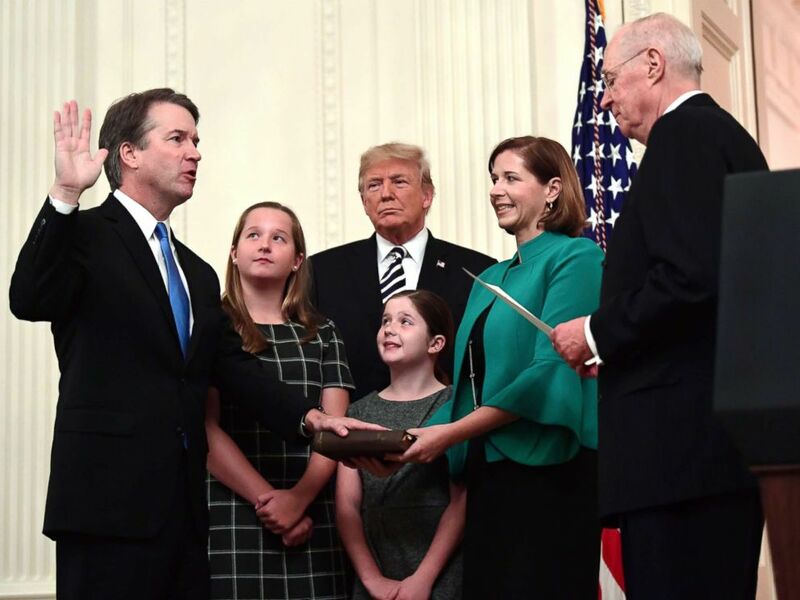 Retired Justice Anthony Kennedy, right, ceremonially swears-in Supreme Court Justice Brett Kavanaugh, as President Donald Trump looks on, in the East Room of the White House, Oct. 8, 2018. During Kavanaugh’s swearing-in ceremony, Trump apologized on behalf of the nation “for the terrible pain and suffering” that he and his family endured during his confirmation process. ABC News’ Meridith McGraw and Alex Mallin contributed to this report.